Anyone have or shot a Gearhead or Liberty Bow? Seems great for hunting with. I have shot the Liberty. Interesting bow. Bit of hand shock, but you could nearly put it in your pocket. Spike, You just stole my thread! I was just about to post about my new Gearhead T20. I've had it for about a month now and actually really like it. It shoots smooth and is pretty accurate. I'm a 27" draw so I don't have to worry about the extended release gimmick that they have to use for the longer draw length guys. String angle is pretty significant and I went with a larger peep because of it. It weights 5lbs total with my 8" bee stinger stabilizer, sight, and rest (no quiver). I bought it with the idea of using it on an upcoming horseback hunt in the Yukon. It is an absolute dream to carry around compared to my Halon 32. I just worry that there is something that I am missing because there are obviously not many bows with such a short axle-to-axle. I have heard that they are less forgiving but I'm not sure why. Maybe because the handle is further behind the riser (7"brace height still)? Sharp string angle? I would certainly like to hear from some of the more knowledgeable shooters on here to help me understand the pros and cons. In the meantime, I'm shooting it alongside my Halon and groups are pretty much just as tight. Looks nice! I’m confused you say it’s 27” draw length and mention the gimmicks you have to use but on their website they show different draw lengths you can get? You can get up to a 29" draw. If someone has over a 29" draw, they have a special release with a long extension because I assume that the string angle becomes too severe with the longer draws. I shoot a 27" draw with my normal release. ugly as all get out ....... blah ! Bowman how is the drawlength changed? Adjustable or specific mod? JTV these things get killer reviews. To each their own, I think they look pretty cool. Looks are secondary to me though. I’m more interested in how it performs which is why I was asking about forgiveness and performance issues with short axle-to-axle bows. I've said this about the Gearhead bows since I seen one in person a few years ago. They are FUGLY. I've had zero issue with handshock. I shoot with an open grip and have to use a wrist sling on my other bows, but I haven't put one on my T20 and have had no issues. It's pretty quiet and dead in the hand at the shot. Very intriguing. Would be great for backpack/bivy hunt easy to carry and stow in/on pack. Ugly? To each their own, but looks cool to me and who cares? I intentionally spray my bows with hodge podge of flat camo paint and MAKE them ugly LOL. Hideous! Haha I think they are super ugly, but not because of camo or paint, smarba. Just ugly by design! I also don't like bows that are anywhere near that short. But... different strokes for different folks. If some like it and shoot it well, good for them. Scoot, why don't you like them so short? What makes a short bow less forgiving? I know a lot of the tournament/pro guys shoot longer ATA, but why? JTV x2. I've been brainwashed into what I think a bow should look like. And those two don't do it for me. A bow isn't supposed to look like that. LOL. 12yards picture a bow back in the 70’s vs a bow today. Pretty big difference. First their was single limbs then split. Maybe Gearhead is the bow of the future ahead of all others. Mathews better catch them if they can! Correct me if I'm wrong, but I think the longer ATA helps a bit with stability as well as keeping the string angle a bit more open. Does that work for sure? Or more important, work for "every day archers/hunters"? who knows. Everyone thinks I'm crazy when I say I shoot my current 6" ATA bow better than any of the 7-8" bow's I've ever owned, it just works for me. No reason why one of these little things couldn't work solidly for most folks in my mind. Maybe they never grace the lines as a major tournament, but for a hunter... I can see it. Will, I agree. I don't understand why there are so many haters. Even if it looks ugly, if it shoots straight, who cares? I'm super excited to hit the elk woods with it because it is a dream to carry around compared to my other bows. I was shooting better groups with it last night at 60 than I was with my Halon. The string angle is definitely steep, but with a large peep, I haven't had any issues with it. Will, I read every review on the web and it seems no one is having problems with accuracy. Hell even crazy Roger Raglan is shooting one lol. I’m about to order one for the hemlocks and ground! I went out and shot broadheads for the first time tonight. Fixed blade, large 4 blade, 145gr muzzy heads (need to shoot 525gr total arrow weight for muskox in Greenland). 20-60yds I practically hit the same hole every time. Pretty impressed so far! Just ordered up a bow and they gave me a great deal and great service. Shawn, yeah I read that too. The owner took first place with a damn 18” bow! The T18 was a little too short for me and I didn’t like the idea of a modified d-loop. The T20 is super compact and still lets me use a regular d-loop and release. The T24 might be a nice compromise for some guys. I really like the size of the T20. Bowman I think they make the T18 model with longer drawlength according to their website. This is the one time where my 27” works for me. I was going to go with the T24 but I wanted a little more compact. I will say that one of the drawbacks is that I max out at 60 yards with my sight on the T20. 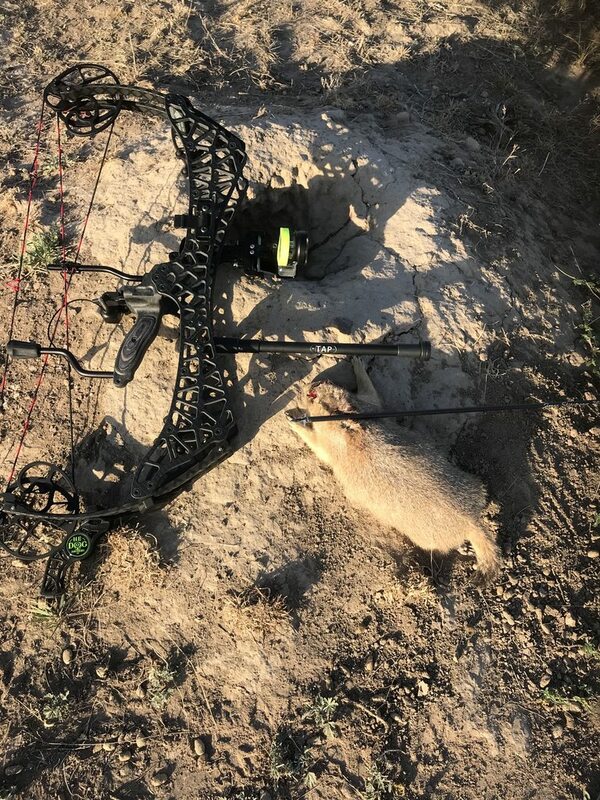 I suppose I could fix that if I was shooting 70 pounds instead of 60, but the string angle and sight configuration, at least on my bow, make 60 yards max which is kind of a drawback for me with western hunting. I don’t shoot past 60 yards when hunting, however I like to have the option for follow-up shots if I ever need them. You could always practice Kentucky windage not a big deal if just a follow up shot. Pretty wild little rig, what kind of speeds are you getting? 230fps 27” draw at 60# with 475g FMJ (100g tip, blazer vanes, 27.5”). Same arrow goes 252fps out of my Halon 32, 27” draw, 62#. I could probably cut 2-3” off my arrow and gain some speed, but I like a heavier arrow since I plan on using it for elk and moose. If I could do it over, I would go with 70# instead of 60. My T20 at 60# is considerably easier to pull back than my Halon at 62#. The other thing is that the T24 is legal in all states whereas the T18 and T20 are legal everywhere except South Dakota and Montana. "Scoot, why don't you like them so short?" Because I don't shoot them as accurately as a longer ATA bow. "What makes a short bow less forgiving?" I don't know or really care- I just know I feel more comfortable shooting longer bows because I shoot them better. "I know a lot of the tournament/pro guys shoot longer ATA, but why?" I have a Carbon riser T-24. It's an absolute blast to shoot and can be shot very consistently. If they made aT-26, it would be perfect for me at 30" DL, mine is 29, they are DL specific, but very smooth and put out good numbers. It's a dream turkey blind bow. I took mine Mt Lion hunting, fits in a pack for both hands free trekking. Just got mine in yesterday. T20 at 27”. Looks like a slingshot on steroids! IS that the carbon riser spike? Or black aluminum ? I know thay made a few changes this last year, haven't seen the new models. The only thing mine required was a hard pull into the wall. Once I figured that out, it shot bullet holes. I'm running a Bowfinger Medusa drop-away, make sure the cord is long enough, they don't like a tight tether either it seems. Mine is the black aluminum and yeah it’s stiff in the beginning. Mine came in at 72.7 pounds. The spec they included show 318 FPS with a 300 grain arrow at 27” so it’s quick for a little bow. I read these bows can handle lighter arrows but my arrows will probably be 370 grains or so. The neat thing in regards to quietness is that they somehow incorporated rubber around the limbs. Neat technology. I see Stan Potts is not shooting a Mathews anymore , he is shooting a Gearhead . JTV I hunt with my bows not screw them lol. Forgot to mention that they look way nicer in person. I’ve seen a lot of new bows but this is the first one that blew me away when I took it out of the box. 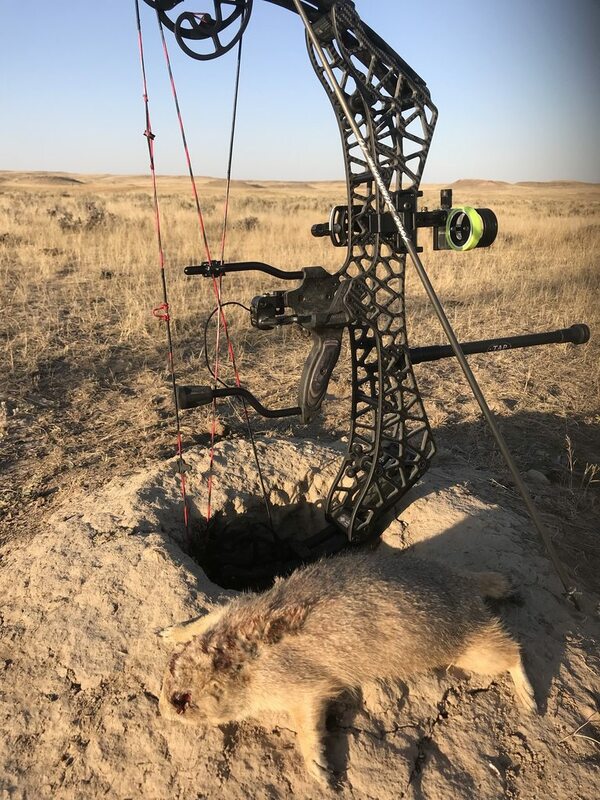 For a critter to be P&Y eligible I believe the bow used has to be at least 28" axle to axle. May not affect the average hunter's choice in equipment, but just a heads up. I look at those bows and just ask myself, "why ?". Kurt luckily we have the Northeast Big Buck Club here. Much better since they don’t include all the known big deer states. That’s interesting I just read PY minimum is actually 30”. I guess that leaves all the Triax hunters out? I think my 34” ATA is short. Have zero interest in these, if you do, have at it. Yup just read the 30” overall length number in P&Y definitions. Don’t think that is axle to axle just overall. Took my bow along when I was PD shooting. Found some less wary ones I could stalk to within a reasonable distance...dang was that fun!! 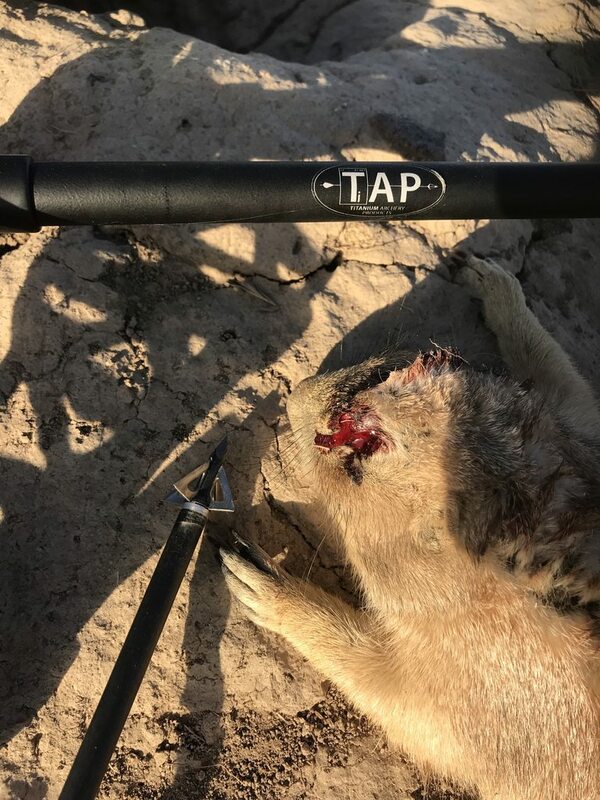 You have to head shoot them if you want pics, they have a way of getting down the hole with even fatal hits..so I head pounded one with the ol ST's. Love my Gearhead T24! That TAP stab really helps to tighten the pin float. Very nice still loving my T20! ahhhhhh brings back the days of my childhood and my erector set and the things I used to make with that toy. that is one interesting looking structure. Otherwise they would be great for spot & stalk hunting or if you attach a decoy to it, it would have serious advantages! My Gearhead does torque easier then longer ata bows and proper grip is important. I am finding that larger heads like the Exodus do not fly as well as smaller heads like the Slick Trick standard if I torque but I will be using Iron Will and a mech head. This bow is easy to get used to and I am shooting well with it. It is very good quality and is truly a hunters bow.